Cabinet Door Hinges European Hidden Hinges. Many European hinges to choose from. Ferrari, Blum, Soft Close Hinges, Lama,and Salice. 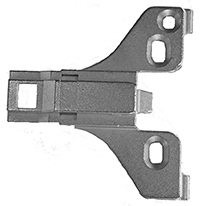 Most European hinges require a PLATE (sold separately unless specified in hinge description) to fasten to the cabinet. IF YOU ARE WANTING REPLACEMENT HINGES AND DO NOT SEE THE HINGE THAT MATCHES YOURS, LOOK AT THE HINGE IN THE RED BOX. 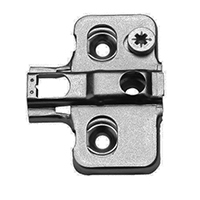 THAT HINGE CAN REPLACE 100'S OF HINGES IN USE BY MANY MANUFACTURERS. Please notice the Grass Soft Close device below. If you have self closing European hinges that device will be a easy way to make your doors soft close. If you want the soft close to be built into the hinge the soft closing hinge below will work for you. 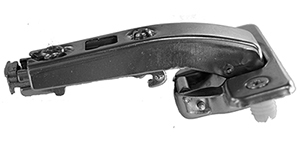 The other hinges and plates showing should cover just about any application you can come across. If you are confused or unsure of what you may need please email us and we will try and help you. Please choose carefully as we do not have a return policy on these items.